Donating to the Mr. Pete Fund will ensure that teachers who want to push the envelope in their classroom are able to do so. Your donation will go toward helping those who dedicate their lives to teaching others with the same passion that Mr. Peterson had in the classroom. 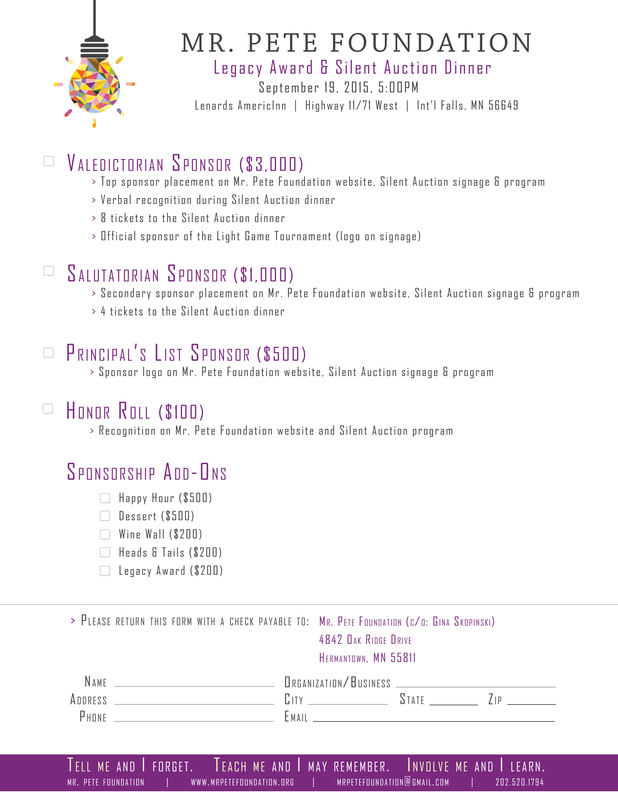 We are currently accepting sponsors for the silent auction. To become a sponsor, please download this form and submit it along with proper payment to the address listed on the form. Gina, I will donate a homemade quilt for the silent auction.